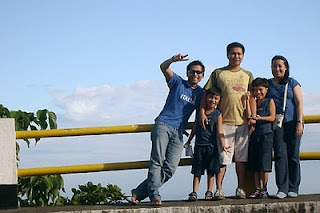 After lunch, Ben, Neil, the kids and I went up to Mt. 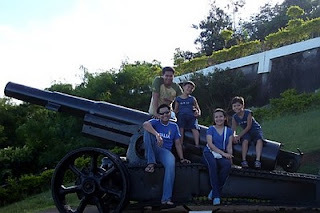 Samat in Pilar, Bataan, and saw the "Dambana ng Kagitingan" (shrine of Valor). 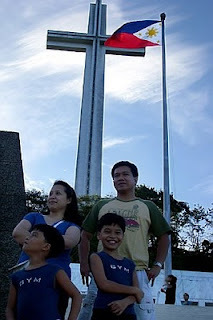 Aptly called, as this shrine was built in 1966 in memory of the U.S. and Filipino soldiers of World War II. 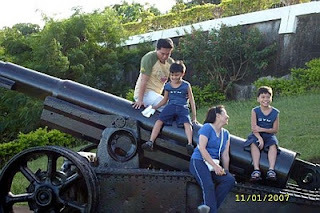 -Bataan Peninsula was the scene of harsh fighting between American-Filipino forces and the invading Japanese forces. -It was on April 9, 1942, when the Bataan defenders surrendered to the Japanese. -About 70,000 U.S. and Filipino soldiers were captured, and they were forced to march more than a hundred kilometers from Bataan to Tarlac. The Bataan Death March. 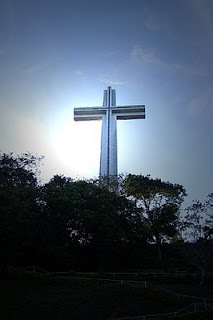 There we saw the huge cross called the Memorial Cross. It's a towering structure which can be seen from miles away. It is 92 meters high and the arms’ length is 15 meter on each side. An elevator goes up to the arms of the cross where the viewing galleries are found. Unfortunately for us, the elevators was out of order when we arrived. 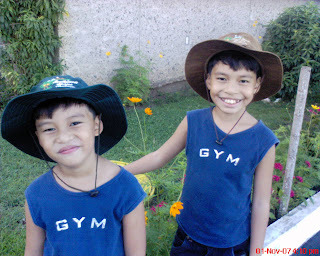 And being the "mommy" that I was, i didnt want to risk going up the stairs with the 2 kids since I dreaded the thought of one of them complaining, and worse, asking me to carry him! Que horror! The "Dambana ng Kagitingan" consists of the Memorial Cross, and a marble building, with an altar and a museum. After our Mt. 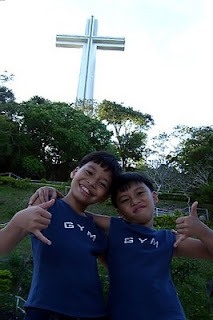 Samat trek, we also saw the Philippine-Japanese Friendship Tower. Said tower was built as a symbol of a post-WW II period of reconciliation, peace, and friendship between the once warring nations. Another highlight of our day was getting hooked on Michelle’s Roti. It's delicious coffee bun, much like the coffee buns we love at Delifrance, and the kids kept asking for more! November 3 (Saturday) was the end of our Bataan trip and we were just so happy that we have one extra day (Sunday) to just lounge around, and "recover" from our vacation. A vacation well-deserved and celebrated.